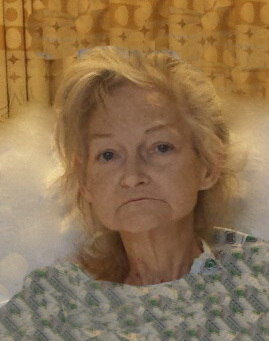 Rhonda L. Combs, 56, of Springfield passed away in The James at OSU, Columbus, OH. She was born March 19 1962 in Marysville, OH the daughter of Charles E. and Juanita (Bartram) Combs. Rhonda grew up in Indianapolis, IN and moved to Columbus for most of her adult life to be near family. She is survived by her sister RoxAnne Combs, with whom she made her home in Springfield; brother and sister-in-law Randy and Kim (Shelley) Crouch, and their children Emily and Vanden, of Plainfield IN; niece and nephew who were special to her, Annika and Miles Bartram; numerous aunts, uncles and cousins whom Rhonda loved very much. She is preceded in death by her father, Charles Combs, and mother, Juanita Crouch. Per her request, Rhonda will be cremated and a Memorial Service will be held at a future date. In memory of Rhonda and her little dog, Winston, please make donations to the Animal Shelter of your choice. The family is being served by RICHARDS, RAFF & DUNBAR MEMORIAL HOME. Expressions of sympathy may be made at www.richardsraffanddunbar.com.